It is smart, lightweight, compact, fully automatic and very easy to use especially in small spaces. 6v 12v output is switchable for wide uses. It has a brain. It's lightweight, compact, and fully automatic; very easy to use, especially in small spaces. Battery Tender. 12' output cord. Helpful Links. It incorporates highly efficient surface mount technology electronic components. Battery Tender. Perfect for all outdoor types of ATV's, watercraft, motorcycles, boats, or anywhere water is a threat. BatteryMINDer Plus #12117. 12 Volt 1.3 Amp. The Schumacher SC1319 is great for motorcycle, power sport, and boat batteries. It’s fully automatic and easy to hook up with the quick-connect harness that attaches either connector in seconds. DOE compliant. The high capacity Jump Starter and Portable Power Bank from Winplus has a powerful capability to jump start most 12V vehicles up to 5.3L engine size (dependant on vehicle condition) and is equipped with two types of USB ports for the fast charging of electronic devices. Perfect for RVs, ATVs and other seasonal vehicles. Automatic safety shutoff. Trending at $12.34eBay determines this price through a machine learned model of the product's sale prices within the last 90 days. It has a brain. It's lightweight, compact, and fully automatic; very easy to use, especially in small spaces. This unit replaces both the 021-0127 (BT JR 6V, 0.75A) and 021-0144 (BT Plus 6, 1.25A) in all markets. It is smart, lightweight, compact, fully automatic and very easy to use especially in small spaces. 6v 12v output is switchable for wide uses. Car led light. 3x Instruction Manual. 3 x DC Output Cable with Ring Connectors. It is smart, lightweight, compact, fully automatic and very easy to use especially in small spaces. 6V/12V selectable output. 6V and 12V Switchable by one button, ideal for charging your car, motorcycle, boats and more. Trending at $17.35eBay determines this price through a machine learned model of the product's sale prices within the last 90 days. Battery Tender. Plugs into all Deltran Battery Tenders. Peg Perego. Helpful Links. The smart charging indicator shows charging process directly. lamp will turn green and the fan will stop working. which facilitates users to manage the current of the battery. LCD Display. the constant current for the battery. Capacity：69800mAh. Power bank battery x1. High efficiency of power conversion. PDA, notebooks, car refrigerator and so on. USA warehouse. Out of Duty. Model Battery Tender Plus. Convenient: Included is a quick connect harness for hard to reach areas. Ac power cord length is 6 feet - 18AWG, DC output cord length 4.5 feet - 18AWG, DC accessory length 1.5 feet - 18 AWG. Optima 150-40000 Digital 400 12V AGM Performance Charger/Maintainer. STATUS INDICATOR LIGHTS: The following describes the operation of the status indicator lights Short Circuit Protection:YES. When the green light is flashing, and the red light is on, the battery is greater. Battery Cables: SPT-2 4 1/2 ft. 18 AWG. Why buy from Performance Built Tools. We manufacture tools designed for the DIY lifestyle. Performance Built Tools. Huntington, IN 46750. ETL Certified. Power: 140W. Rated Charging Range: 12V/24V 6AH-105AH battery. Universal for 12V/24V battery. With manual mode automatically for choose. HP OJ 7110 7610 6100 6600 6700 Print Head US New Genuine 920 Printhead. Arctic Tools can not make any exceptions. Dual USB outlets to power accessories. Arctic Tools A cool place for tools. Dual USB outlets and a high intensity LED task light provide added functionality. 350 instant/700 peak battery amp jump starter. Heavy-duty brass-tipped SureFit compressor nozzle securely connects to tire valve stems. Manufacturer Part Number- J7CS. Model- J7CS. 1 year limited warranty. Part Number: JNC660. Long, 46" #4 gauge heavy duty cables allow the unit to be positioned in the ideal location during jump starting. We have warehouses in multiple states. We will provide you with that information. Bring on the power! 1500 Peak Amp 12 Volt Jump Starter. 22 amp hour battery. LED battery status indicator. Arctic Tools can not make any exceptions. Arctic Tools A cool place for tools. Features: 4 alarm lights, 4 USB connectors, meet your multiple needs for charging phone,laptop. Hammer in the front, play an important role when emergency escape. Used as torch, guide you to the right direction when camping,climbing or hiking in evening. SOS flashlight, never feel helpless in urgency. Anti-slip design, clutch it with no worry even in the hot summer. Plastic case package: easy carry, easy storage. High capacity with high power polymer battery is adopted for fast charging. 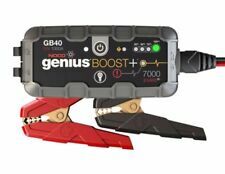 It can support an emergency jump start and entirely replace the included battery for a car startup..
Noco GB40 Genius BOOST Plus+ Jump Starter - 1000 Amp - Start Dead Batteries! Manufacturer Part Number: GB40. GB40 Lithium Battery Jump Starter. Let Boost be an afterthought. Type: Jump Starter. CAUTION: Manual Override Mode for really dead batteries. TIRE CHAINS. TIMING BELT. 5 out of 5 stars - Noco GB40 Genius BOOST Plus+ Jump Starter - 1000 Amp - Start Dead Batteries! 348 product ratings348 product ratings - Noco GB40 Genius BOOST Plus+ Jump Starter - 1000 Amp - Start Dead Batteries! Compatible with motorcycle batteries such as found on Harley Davidson Motorcycles. 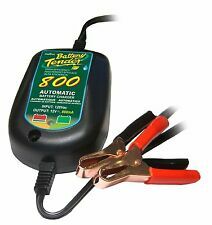 High performance 12V charging system for boats, cars, motorcycles, UTV, ATV and more! 12V DC Batteries Only. Low weight design for easy handling. Kinetik HC1200-BLU Power Cell. Kinetik HC1200-BLU 1200 Watt 12 Volt High Current Power Cell. The cells that started it all! Known for being used in car audio sound-off competitions to break an amazing 180db and beyond. Power/Fault Indicators. 6V/12V Switch Button. Jump starters are portable battery devices used to start a vehicle when the car battery is low. They operate as jumper cables but they don't need an extra vehicle to generate the power required to boost the low or dead battery. Here are some frequently asked questions about these devices. What strength of battery should be in a jump starter? The device should have sufficient cranking amps and peak amps to start a car during an emergency. Batteries with high peak amps generate more power for your car battery. Be sure to look for a battery with 225 or more amps and 900 or more peak amps. Simply put, it should match the starting amps of your car battery. What type of battery is in a jump starter? Jump-starter batteries are made out of lithium, which make them small and compact. High-discharge lithium-ion batteries are also available. How do jump starters work? You hook the jumper pack to the auto battery. Be sure to match the colored alligator clamps. The black clamp is for negative and the red clamp is for positive. Turn on the power on the jump starter to transfer the current to the dead battery. Auto jump starters do not have a power on and off switch; they transfer current as soon as the clamps are connected to the terminals. What size jump starter do you need? Cars have various kinds of engines that require different cranking currents. A rough estimate of petrol/gas engines shows that a four-cylinder car engine requires a jump starter with 150 to 200 amps. Vehicles with six- to eight-cylinder engines need 200 to 300 amps. Can jump starters be powered from cigarette lighters? Cigarette lighter outlets can be used in place of jumper cables to interconnect the 12-volt power outlets of two vehicles. The outlets eliminate the concerns that come with incorrect connections and the creation of arcs near battery terminals. How do you choose a jump starter? There are two types of car jump starters: plug-in units and jump boxes. Jump boxes are maintenance-free jump starters with jumper cables attached to them. Plug-in units are battery chargers that deliver enough amperage to help turn your engine on. If you want a plug-in unit, you should consider features such as the float-charge option, multiple-amperage settings, and the various charging modes. Jump boxes consist of a maintenance-free battery attached to cables in a pack. 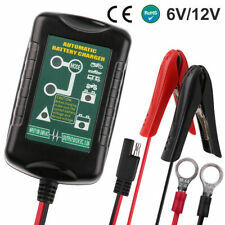 They are portable and provide the required amperage to jump start an empty battery.